Artificial intelligence is changing the way customer service agents respond to customers. In most cases, the AI bots are suggesting potential agent responses, and no customers are directly talking to a robot. Still, it’s a new development, and one that’s leading plenty of people to question if it’s positive or negative. One thing’s for sure – AI customer service is widespread. Every CRM platform is getting in on the game. 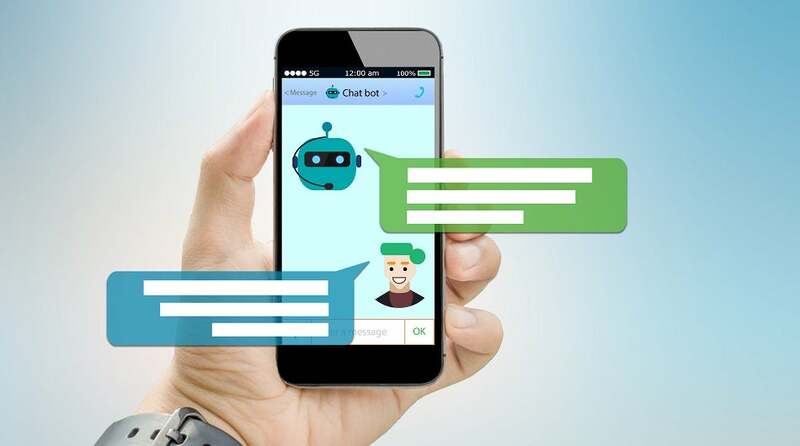 Salesforce has just launched an analytical AI titled Einstein; Zoho has conversation AI Zia Voice, and Zendesk and Microsoft Dynamics both include their own AI-powered chat bots. What does this changing face of customer service mean for businesses and their customers? Salesforce has already used iterations of its Einstein analytics in its Service Cloud module for the past three years, but last week it launched new AI abilities in three new areas. Together, the new announcements serve as a snapshot of the AI advancements sweeping the CRM industry. First, there’s “Einstein Reply Recommendations,” which suggests the best responses agents can send during chats with customers. This is the most common type of AI that customer service reps rely on today, and it impacts customers the most directly, since it determines complete sentences that will be sent directly to customers. Thanks to a healthy dose of machine learning, the reply recommendations will get better with each use, and will eventually deliver responses tailored to the unique values and culture of the companies it represents. Next up is “Einstein Next Best Action,” which uses predictive intelligence to help agents figure out the best time to suggest the next course of action. The goal is to boost customer satisfaction while finding hidden chances to cross-sell. Finally, “Einstein Case Routing” uses machine learning to shuttle cases to the correct agent or the right pipeline, relying on data surrounding which agents deal best with which situations. Is AI Good or Bad for Customers? The big concern with AI and customer engagement? That it represents a dehumanized approach, where customer’s concerns and complaints are met with nothing but a dismissive, pre-packaged response. As anyone in customer service can tell you, that’s a recipe for disaster. It’s a compelling counter-argument. Customers may actually be getting a more targeted, smarter response when it is crafted by AI than when it has been entirely thrown together by an overworked response agent. After all, an agent without any AI responses at their disposal still has to say something, and it’s likely still going to be at least as generic and prepackaged as anything an AI would create. But customers won’t know that they’re getting AI responses. Is that ethical? If you’ve ever been on the wrong end of a robocall designed to trick you into thinking it’s human with pre-recorded coughing noises or an “are you there?”, you know that it doesn’t feel great. But as long as there’s a real agent on the other end of the line or the chat bot is clear about the fact that it’s not human, customers will likely be satisfied with their results. Just don’t pull anything like Google’s digital assistant Duplex, which made headlines last year for tricks like using “ums” and “uhs” to sound more like a human speaker. Ethical obligations aside, no one likes getting tricked. Is AI Good or Bad for Agents? AI bots, Salesforce argues, are “making the agent’s role more critical and more challenging than ever before” by letting the agents focus on more high-level tasks. Zendesk made the same claim recently, saying AI will spark a “renewed focus on the human element” by letting agents deal with entirely “white glove” work. But of course they would say that. Will AI eventually put support agents out their jobs? There are a few immediate answers: First, a robust AI that’s truly capable to fully replacing humans is still decades away, and second, there will still always be those edge cases and unforeseeable changes that will require a human touch. Still, it’s a valid concern that AI might depress job growth in the future. The best answer is to keep adding useful skills and growing your career ahead of time, though, and getting familiar with AI is one of those skill sets that customer resource agents might find handy. In the end, the appearance and rapid growth of AI in customer service isn’t inherently a bad thing. Customer service is still all about the human touch. And, by adding AI capabilities, customer service teams might actually get more human than ever. If you’re interested in dabbling in customer service AI, check out our Salesforce CRM review for more details on Einstein, or read up on the top Salesforce alternatives if you’d rather size up the competition. Whichever decision you make, AI customer service tools seem to save their companies time and resources, and that’s a sure sign that they’ll continue taking over the CRM world.